Sphinx and the Cursed Mummy is an action adventure game that takes us to the mythical version of ancient Egypt. During the game, we play as two eponymous characters who try to thwart the plans of the evil god Seth. 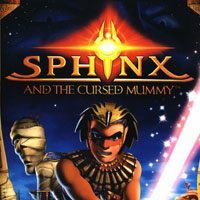 Sphinx and the Cursed Mummy is an action adventure game created by the Eurocom Entertainment Software team. The production debuted in 2003 on Nintendo GameCube, Xbox and PlayStation 2 consoles, and after many years it was remastered by THQ Nordic. Sphinx and the Cursed Mummy moves players to the mythical version of ancient Egypt. The ancient empire is under the influence of true evil, embodied in the evil Seth. The players play two title characters, Sphinx, a hybrid of a man and a lion, and Pharaoh Tutankhamon's Mummy. The fate of the whole world rests on the shoulders of the two protagonists - in order to thwart Seth's plans, the heroes must find stolen artifacts, i.e. magical crowns with which they intend to crack down on evil powers once and for all. The events in which we participate in Sphinx and the Cursed Mummy are observed from a third party perspective (TPP). The game is divided into stages, during which we play one of the heroes and use his unique abilities. Sphinx is perfect for direct confrontation with enemies, using the sword, and as the adventure progresses, he learns new skills like jumping over longer distances, using the shield or throwing missiles; his advantage is also the ability to turn into a winged lion. Mummy, on the other hand, is able to become invisible and sneak behind opponents, which makes her irreplaceable in spy missions, where you have to show cunningly. The game is enriched by numerous environmental riddles, which have to be solved in order to push the action forward. Most puzzles are about removing obstacles blocking the transition or switching levers, but there are also less standard challenges requiring the ability to think logically and associate facts. Whatever the platform, three-dimensional graphics of Sphinx and the Cursed Mummy can be enjoyed. The fact that it is kept in a pleasing cartoon style and with a rich colour scheme is what makes it stand out from the crowd. As mentioned earlier, in 2017 the described production was remastered and released on PCs. The main difference compared to the original is the altered audio-visual layer - the graphics engine was written from scratch, based on the source code of the Xbox and PlayStation 2 versions. The authors were mainly tempted to adapt the graphics to play in 4K resolution (this also applies to the interface), and the fact that the game runs at 60 frames per second is not insignificant. This is complemented by support for 5.1, 6.1, 7.1 and HRTF surround sound. However, this is not the end of the list of improvements made by developers. The creators adapted the control to gameplay, both with the mouse and keyboard, as well as with the use of a pad. It should also be noted that the team responsible for the preparation of this remaster coped with a number of bugs that trampled the oryigna³.